« What does quality of service mean to your business? Local manufacturers in Phoenix need a strong team of support businesses to ensure their success. All manufacturers need materials supplies. All manufacturers have shipping needs. There are buyers and sellers of manufactured goods. Partners in storage for excess inventory or materials are needed. A comprehensive waste management system may need to be in place. Another important component of a strong manufacturing business team, is having a qualified local licensed bonded electrical contractor. G&S Electric Inc. would like to be a member of that team which supports local business in Phoenix and the greater valley. 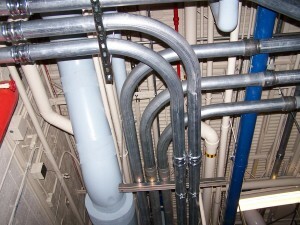 Every manufacturing company needs licensed bonded electricians to ensure they run at full capacity. When heavy machine repair is needed, manufacturing businesses stop producing and start loosing revenue. It is important to have a heavy equipment repair electrician who can keep those motors running. When motors burn out and break down, an electrical contractor is needed for electrical motor repair to get revenue flowing again. Machine repair for manufacturers will almost always require electrical diagnostics. G&S Electric Inc. will come out to your facility and review all parts on a machine to determine where breakdowns may occur and ensure appropriate repairs are made. Many manufacturing plants experience electrical equipment failure. G&S Electric Inc. serves as electricians in South Phoenix, and all over the valley, for manufacturing needs. Contacting G&S Electric Inc. begins a relationship with a reliable company that wants to be a part of your small business team. We will fix electrical manufacturing problems. When lathes wear down (as they are bound too) is it because manufacturing motor repair is needed, or is an electrical control repair needed? A machine shop electrician can diagnose the true issue. G&S Electric Inc. can even perform most mechanical repairs as part of the electrical repairs and diagnostics. Electricians for manufacturing businesses need to be aware of the mechanics of motors. Modern milling machine repairs may be needed due to many points of vulnerability. Hydraulic relay repairs, automated lubrication pump repairs, heavy equipment chip replacement repairs, or automated malfunction sensor repairs can be part of a complex repair process in a single machine. If a machine stops running and you do not know why, call G&S Electric Inc. for electrical troubleshooting and diagnostics. Some manufactures have to bid for new contacts or new product line capabilities. Having a local electrical engineer in Phoenix as part of your manufacturing team can help you understand cost estimates for retooling a facility to make new product. Your business depends on the ability to output product. Your profits of a new bid can only be fully understood when you have realized the costs of rewiring a facility for new tools and machines. Manufacturer electrical engineers can help you understand the electrical energy requirements needed for new manufacturing processes and provide those cost estimates. Will new machines increase electrical load requirements? 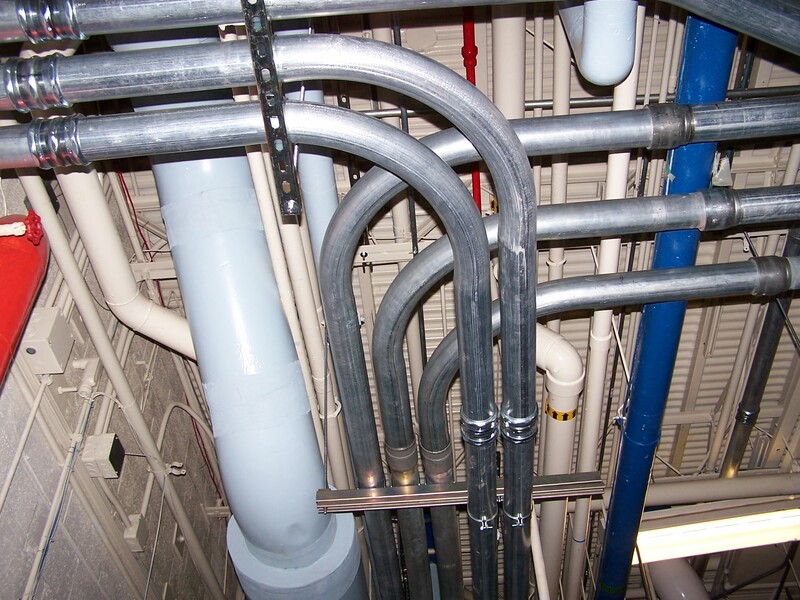 Will rewiring your facility reduce electrical loads? Are old wiring systems creating loss of power to your machines and costing you more expense to create product? A machine installation electrician can ensure proper electrical loads, increasing the life span of the tools on which your business relies. Having a manufacturing electrical contractor who can provide quality electrical engineering designs can go a long way to increase production values. An electrical engineer may help manufacturers increase profits by determining improvements for energy efficiencies. An electrical engineer can design an electrical power distribution system which can create a more flexible manufacturing facility to easily handle machine change outs. The ability to modify your manufacturing facility increases the ability to take new contracts and increase revenues. G&S Electric Inc. employs manufacturing electricians who want to be part of local small business manufacturing teams. As an Arizona licensed bonded electrical contractor that relies on Buy American principles G&S Electric Inc. supports local Arizona businesses. G&S Electric Inc. enjoys being a small business, providing our electrician services for small businesses. Some manufacturing electrician companies in Phoenix want to be large and take on every project they can. G&S Electric Inc. prefers developing relationships and being part of a larger team of support. G&S Electric Inc. have Phoenix, Tempe, and Scottsdale based manufacturing electrical design consultants servicing companies from Gilbert to Glendale, and all over the great state of Arizona. Want more information? Read this paper from MIT on the life cycles of electrical energy requirements for manufacturing processes. This entry was written by admin, posted on February 18, 2014 at 6:19 pm, filed under Electrical and tagged affordable electrician scottsdale, arizona electrician, chandler electrician, commercial electrical contracting, commercial electricians phoenix, electrical contractor phoenix, electrical services arizona, electrician phoenix, licensed electricians in phoenix. Bookmark the permalink. Follow any comments here with the RSS feed for this post. Post a comment or leave a trackback: Trackback URL.